Anton Rusin, winner of the $600 No-Limit Mega Stack Challenge Event! 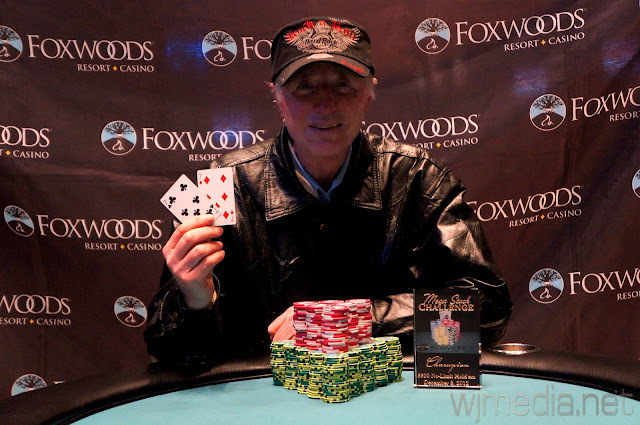 Congratulations to Anton Rusin, winner of the $600 No-Limit Hold 'em Mega Stack Challenge event. Rusin takes home $34,815 and the Mega Stack Challenge Trophy for his victory! Be sure to join us tomorrow at 11am for the start of the $100,000 Guaranteed $300 No-Limit Hold 'em event! The final two players in the $600 No-Limit Hold 'em event have come to an agreement on a chip chop. Neil Murphy officially finishes in 2nd place and takes home $26,381. The board comes [9s][8d][8s][Ah][3h] and Rusin wins the pot with his king high. Thomas Hoglund is eliminated in 3rd place, taking home $16,976. A short-stacked Josh Rosen gets all-in before the flop with [Ah][7h] but runs into the [Qc][Qh] of Thomas Hoglund. The board runs out [Th][6c][4c][3c][4d] and Hoglund wins the pot. 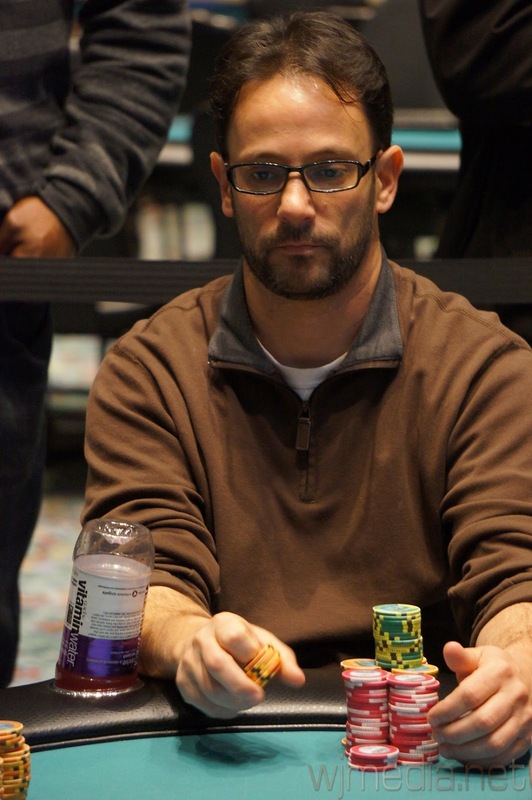 Josh Rosen is eliminated in 4th place for $12,551. The board runs out [Jd][8h][3s][Ts][3d] and Rusin spikes a ten on the turn to win the pot. 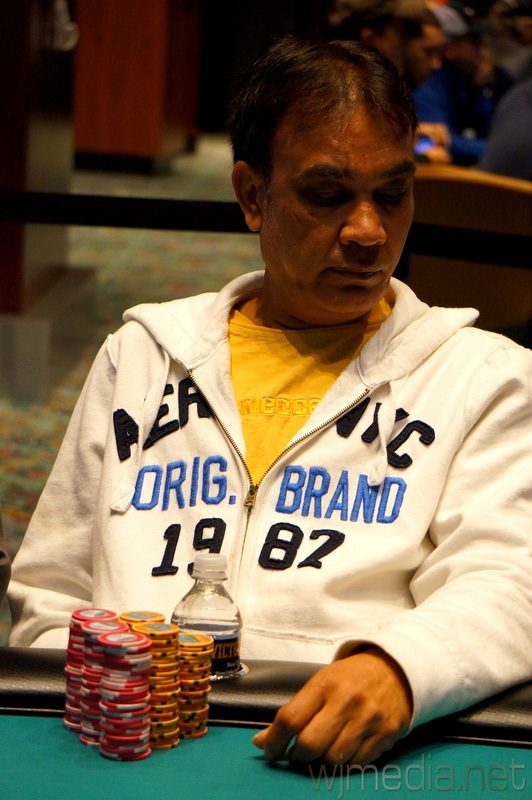 Raj Patel is eliminated in 5th place, taking home $9,414. After getting crippled to just 55,000 with [9c][9h] against the [Th][Ts] of Thomas Hoglund a few hands prior, George Kalaitzis gets his last few chips in the middle before the flop. He is called by both Thomas Hoglund and Josh Rosen and the flop comes [Th][7d][6c]. Both Rosen and Hoglund check and the turn is the [Ks]. Rosen checks again but Hoglund fires 150,000. Rosen releases his hand and Hoglund shows [Kh][Qc] for top pair. Kalaitzis turns up [Ac][5c] and will need help. However, no ace comes on the river and Kalaitzis is eliminated in 6th place for $7,176. 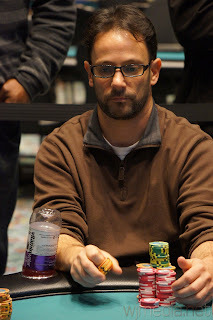 The board runs out [Qd][Td][7h][3s][7d] and Rosen takes the pot with his ace high. Wu is eliminated in 7th place and takes home $5,568. The remaining six players are now on a one-hour dinner break. 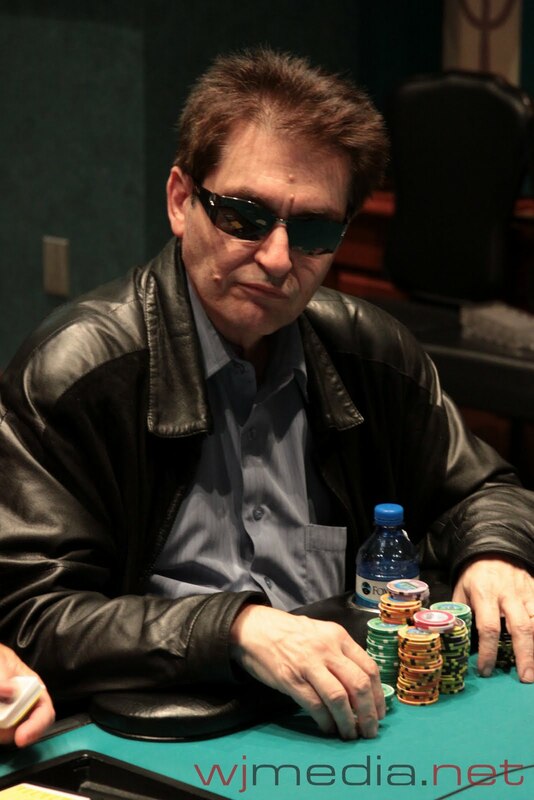 John Alexander raises from under the gun to 115,000 with the blinds at 20,000-40,000 and is called by Anton Rusin. The flop comes [Td][9d][9s] and Alexander fires 195,000. Rusin, having Alexander covered, announces that he is all-in. The turn is the [4h] and the river comes the [Qs]. Alexander misses his flush and Rusin takes the pot. 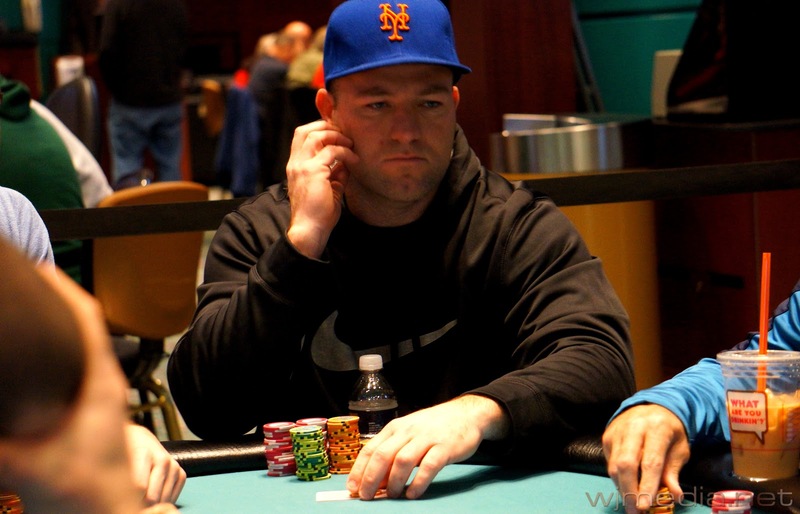 Alexander is eliminated in 8th place for $4,377. The board comes [Th][8d][4c][3s][9s] and Murphy adds to his chip lead by eliminating Mitrokostas. 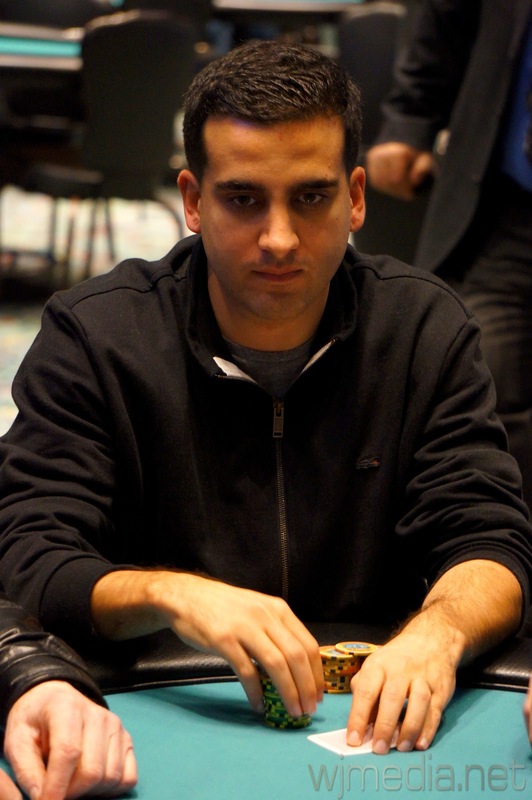 Mitrokostas takes home $3,503 for his 9th place finish. The board runs out [Kh][9d][5h][5d][7s] and Murphy spikes his two-outer on the river to win the pot. Atamian is eliminated in 10th place for $2,832. We have reached the final table of the $600 No-Limit Hold 'em event at the Foxwoods Mega Stack Challenge. Day 2 of the $600 No-Limit Now Streaming Live! Neil Murphy leads the field into Day 2 with 791,000. The final 28 players in the $600 No-Limit Hold 'em event have taken their seats and Day 2 is underway. 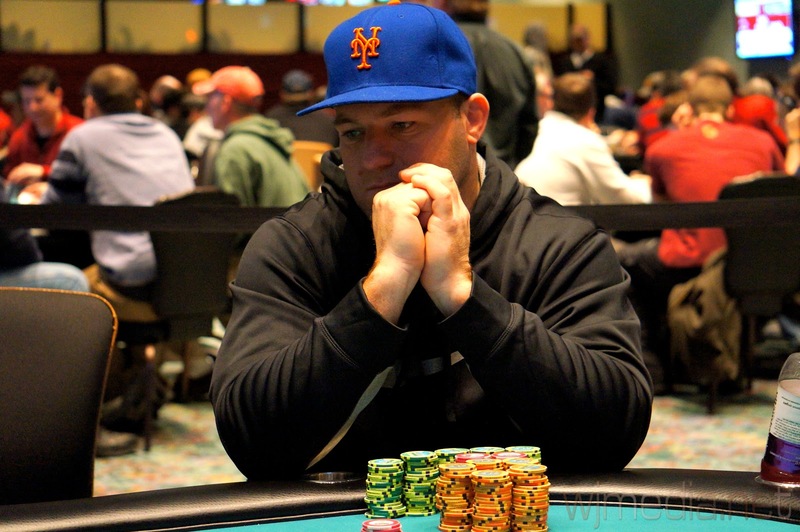 Play has come to an end on Day 1 of the $600 No-Limit Hold 'em event with 28 players remaining. Play will resume tomorrow at noon and continue to a winner. Final chip counts and Day 2 seat assignments will be posted as soon as they are available. With just 20 minutes left in play on Day 1 of the $600 No-Limit Hold 'em event, the money bubble has burst. The remaining 33 players are all now guaranteed at least $965.